A new artist on the scene with strong country music roots. A couple weeks ago I was listening to the Bobbycast with Bobby Bones. I love that podcast. Anyway, the guest on this episode was Marcus Hummon. The guy has a very interesting background and story. You’ll have to check it out, but basically what he’s most known for is being a great Nashville songwriter. He was on a budding label in the late ’80s, I think, and tried to make a go of things in the early ’90s when country music was exploding. And he still has that itch to record and play live. He mentioned that he was on a recent tour with his son, Levi. And I recognized that name. We did do a review of one of Levi’s songs a few months ago. 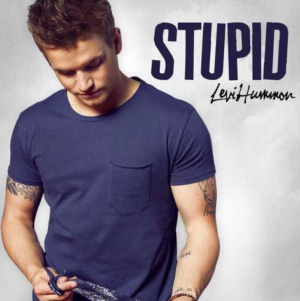 Levi has a new song out now and it’s on Hot Country. That’s the big time playlist on Spotify. Let’s check it out. Super catchy. I can see why this one is already getting notice and why it’s already been included on Hot Country. This has the feel of pop country and that’s really working well right now. I know that I tend to learn toward traditional country music. Lots of steel guitar and violins and things like that. But I do like all kinds of country music and that includes pop country. I like this one from Levi. It’s a straight ahead love song. Throwing caution to the wind and letting things go where they go. I’ll be curious to track the success of this one.